This early tract sets out Conolly’s vision of the potential therapeutic benefits of the public lunatic asylum. The lunatic asylum is foremost a site of cure for Conolly (rather than containment). Here, he describes (with remarkable precision and detail) the way that architecture and internal design fundamentally impact on both the treatment of the patient and the role of the physician. 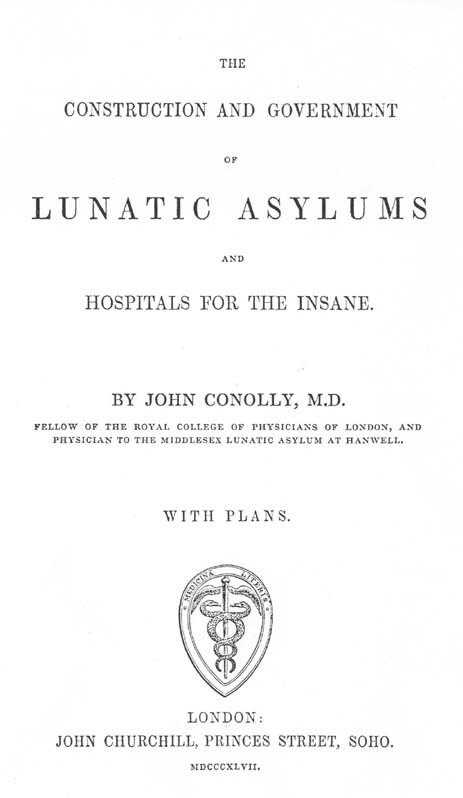 Conolly overlooks no detail in his desire to convince his readers of the powerful role lunatic asylums could play in the successful treatment of the mad in the nineteenth century.